True stress management requires setting forth the definition of stress. I'm on a daily treasure hunt for stress relief. I know stress and its friend, anxiety, and I don't like either one of them! 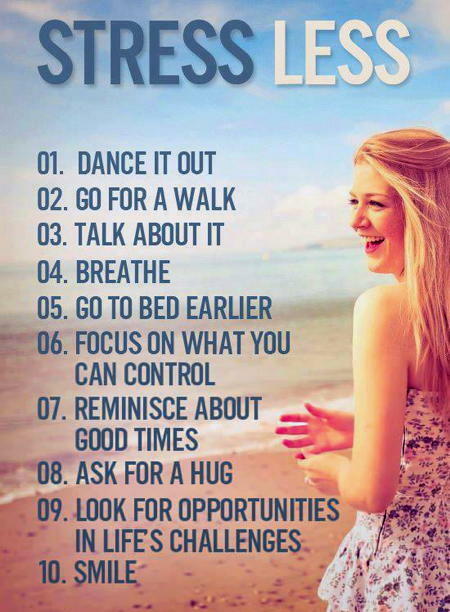 If you're anything like me, you've spent a lot of time despising those dreaded "stressed out" feelings. You know the ones: Swimming thoughts that can do laps around any Olympian, the butterfly collection in your stomach, tidal waves of heart palpitations, Niagara Sweat Falls, etc. The list goes on and on. I've also spent a lot of time trying to make these feelings go away. I've done a lot of wishing and hoping to no longer be stressed but, to be self-assured and at ease with whatever comes my way. Oh, to be as cool as a cucumber! Thus far, I have not figured out how to make stress vanish. Would you believe there’s no such “thing” as stress? I wouldn’t either! There are, however, no specialty shops or department stores offering stress for sale, no trees bearing the “stress fruit”, either. So, I guess technically, stress is not a “thing.” Rather, stress is an emotional and physical experience based on personal perception of circumstance. Stress may not be a thing, but it is certainly a very real and palpable experience. 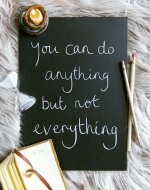 Knowing that the experience of stress is not derived from something outside of ourselves can actually help us take control of the only thing we can – ourselves! We have control over our responses to stressors, and that is very powerful. So, I've decided to stop wasting any more time on trying to banish stress. Unless you live in a bubble somewhere - and even bubbles burst - there will always be stress. Instead, I've decided to take on a new approach to stress. Rather than trying to make stress go away, I'm going to try to understand it - kind of like keeping your friends close and your enemies closer. Okay, maybe "enemy" is too strong a word to describe stress. Maybe "frienemy" is more accurate. At any rate, I'm realizing that dealing with stress is like hitting a patch of ice on the road. My knee-jerk reaction may be to swerve to avoid the ice only to spin out of control. A better approach is to face the ice with fortitude and glide over it. You can practice relaxation techniques all day long, but they will not be very effective if you don't know what your stress is. The more you know about stress - more importantly your stress - the more you'll be in control of it. So do take some time exploring the definition of stress - your stress. There are numerous definitions of stress. They are all right in that each offers a different nuance to the meaning of stress. But, one of the most widely accepted definitions of stress stems from stress expert Dr. Richard Lazarus: "Stress is a condition or feeling experienced when a person perceives that demands exceed the personal and social resources the individual is able to mobilize.” Essentially, stress is what the body and mind perceive when we've lost control of something. Everyone experiences stress differently. Internal and external events that are perceived as stressful to one person, may not be to someone else. The causes of stress are individualized. Dis-Stress, Eu-Stress, We All Stress! Is there such a thing as "good" stress? Eustress (YOO-stress) is the term experts use to describe the kind of stress that is necessary for survival and motivation. 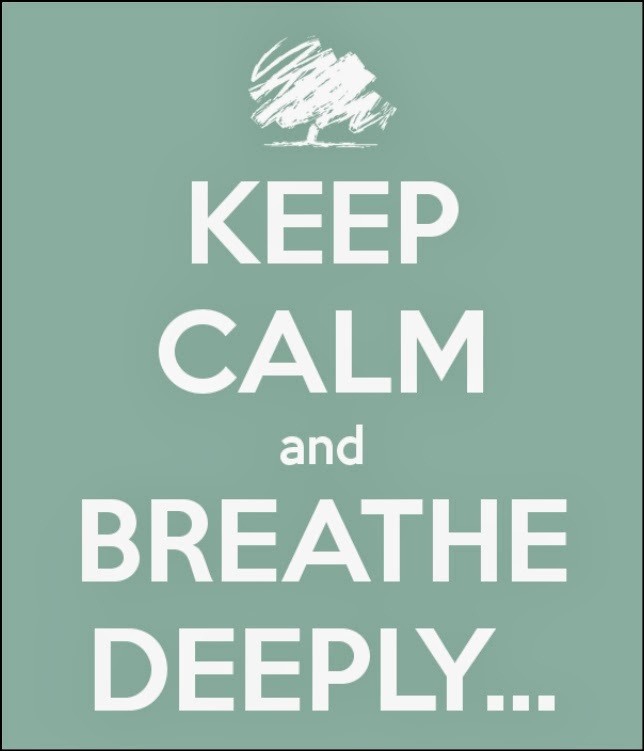 Stress is a normal physical response to events that present pressures or dangers. We need to remain alert and aware when faced with danger or when we need to get something done. Eustress readies us for action. So, in the short-term, stress is necessary and useful. But, when the pressures of stress persist, long-term stress symptoms emerge. This negative stress is termed "distress" or anxiety. Take charge today of understanding your stress! I urge you to subscribe to the Know Stress Press. You’ll gain immediate access to your free Stress Management Workbook. If you’re willing to put forth effort, you can feel better starting now.